Etsy is a great source of handmade shaving products for men. 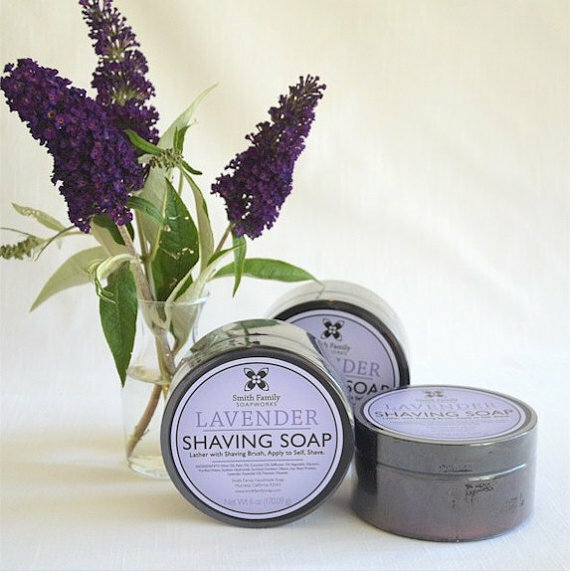 My husband and our sons tend to be traditionalists in the grooming department, they use shaving brushes with shaving soap. 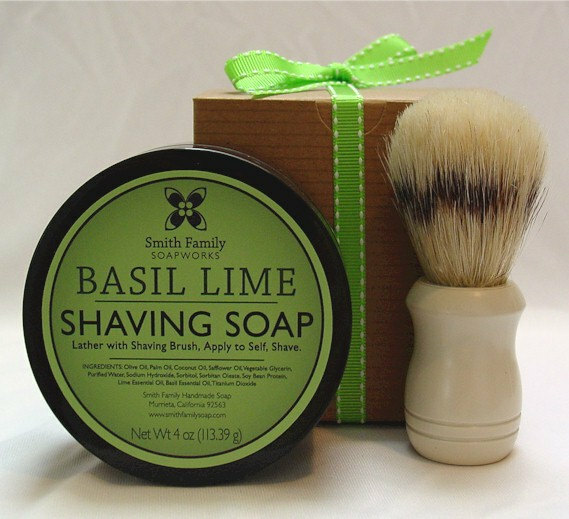 I purchased several Basil Lime Shaving Soaps made with olive oil from Smith Family Soapworks for stockings this year. They also make a Sandalwood scented soap. 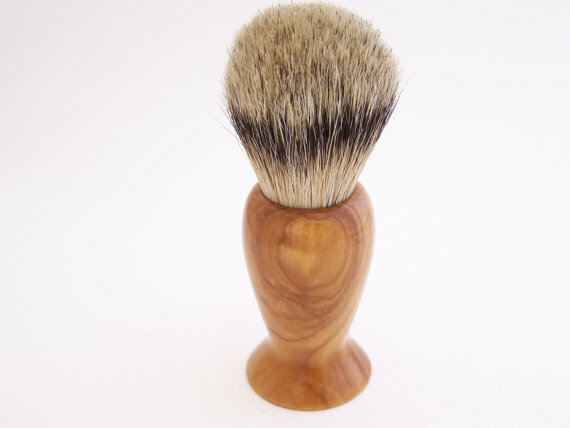 A handmade shaving brush would be perfect to include with the soap. California woodworker Pat Camara makes these beautiful shaving brushes in your choice of 20 varieties of wood and many types of badger hair. 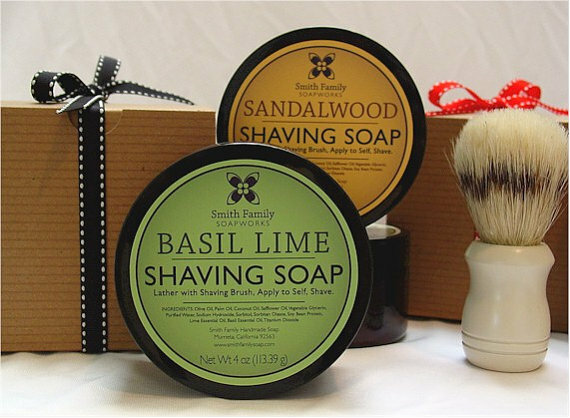 Smith Family Soapworks creates shaving soaps for ladies too. 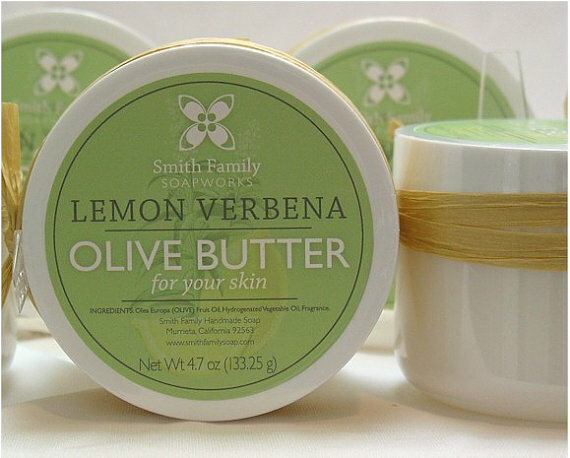 Love this Lavender Shaving Soap and their Olive Butter in my favorite fresh Lemon Verbena scent would be nice to try. I am enjoying all of your posts - every single day. I'm soooo glad you decided to continue blogging! Have a wonderful weekend! What lovely packaging. Mr. H also uses a shaving brush - these are beautiful. I seem to be doing a lot of Etsy shopping this week!